We see a lot in the media currently about division; between people, between nations, between ideologies. And it’s true, the world is moving in new, and sometimes unexpected directions, and the existing order is being disrupted. But we must remember that the exchange of ideas can be a uniting force. Most of the world’s real innovations come not from individuals labouring away in isolation, or even from “eureka” moments, but from working together. The theme of this year’s Annual Meeting, “responsible and responsive leadership,” highlights the vital role collaboration must play for us to best navigate the future. This year, BT will celebrate 180 years since the filing of the first patent for the five-needle electric telegraph – an innovation that laid the earliest foundations for today’s connected world, and which underpins the fourth industrial revolution. The inventors of that device, Charles Wheatstone (a scientist) and William Fothersgill Cooke (an entrepreneur) worked together to turn a great idea into what eventually became a global industry. If I think about innovations from BT’s history, almost all were collaborative efforts. From the first live TV transmission across the Atlantic – a collaboration between AT&T’s Bell Labs and the BT Labs – to the work we’re doing today on the next generation of ultrafast broadband technologies, the biggest successes have resulted from experts in different fields working together to achieve a common goal. That’s why companies today are increasingly taking a global, “open innovation” approach. A major risk for large organisations, even ones such as ourselves who invest extensively in R&D, is the “not invented here” syndrome; the chance that disruptive technologies will be ignored because they’re not pioneered in your own labs. We use scouting teams and university partnerships in the UK, Silicon Valley, the MIT tech cluster, Abu Dhabi, China and other strategic locations around the world to give us a global view. Collaboration between business and academia is a key component of “open innovation”. 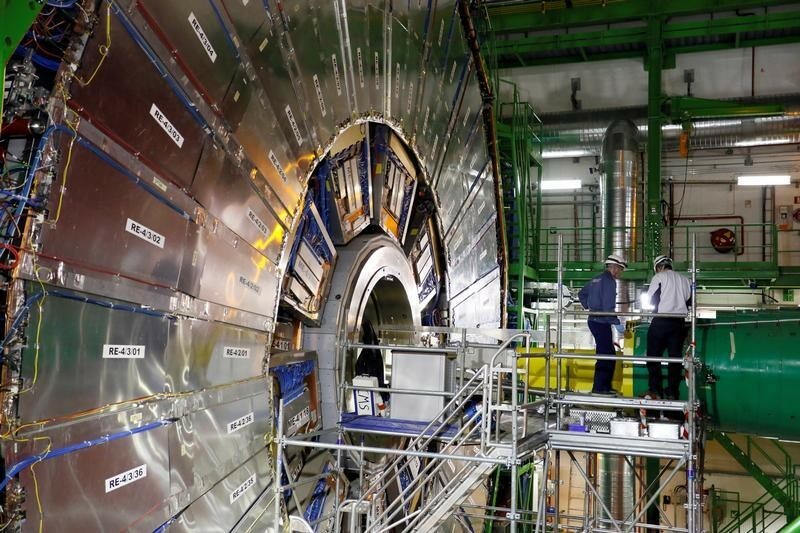 As we’re gathering for the Annual Meeting of the World Economic Forum in Davos, let’s take a Swiss example of collaboration – CERN: 2,500 staff from 22 member states. The birthplace of the World Wide Web, CERN provides a global community of scientists with access to powerful facilities for experimentation, research, data processing and analysis. In 2013 the combination of these great minds and world-leading facilities in tunnels not far from Davos proved the existence of the Higgs boson, or “god particle”, a fundamental building block of the universe. There’s a significant contingent of British brains involved in CERN. Britain is a melting pot of science and industry, and in a post-Brexit world, the UK will need to capitalise on its world-leading universities and build an innovation-led economy that lays a powerful foundation for future growth. Helping universities to focus their research and enormous intellectual capital on areas that could create world-leading IP is a role that businesses increasingly need to step up to. Sustainable future growth needs purposeful innovation which is socially and commercially relevant. At a global level we see how major initiatives like the Sustainable Development Goals and Paris Agreement are able to transcend national and political boundaries with a collaborative, open approach. The big global issues of our time - inequality, poverty and climate change - demand nothing less. And every day we see examples of the collective power of people using social media. When used responsibly this can be a force for good, supporting people in need and improving the state of the world. The first social media platforms were born of a few creative and collaborative minds less than a decade ago. They have since been adopted by billions of people and continue to evolve in their form and function. 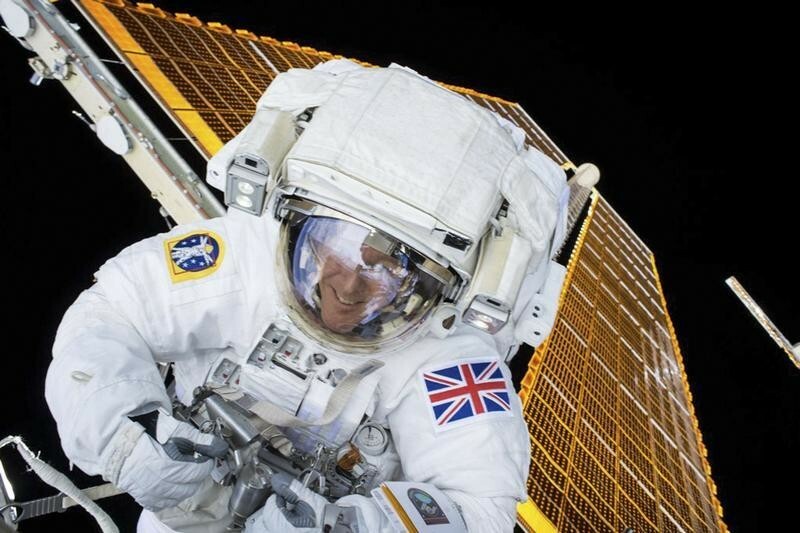 In 2016, Major Tim Peake, Britain’s first astronaut for 25 years, used social media to bring the enormity of space closer to millions of school children in the UK and across the world. The International Space Station which he visited is one of the most ambitious international collaborations ever attempted, and the most politically complex space exploration program ever undertaken. The largest space station ever constructed, it continues to be assembled in orbit and to date has been visited by astronauts of nearly 20 nationalities who make use of its research laboratories to improve our understanding of the world around us. So whether we look to the inky blackness of the sky, or somewhere closer to home, we see time and again the power of the exchange of ideas and of working together across boundaries. Chance favours the connected mind; fortune favours the brave. In a post-Brexit world, responsive and responsible business leaders need to create environments where big ideas can coalesce and people can collaborate. This article was also published on China Daily.